I’m exceptionally pleased to announce that Cold Press is finally available… the Kindle version is out now at Amazon: https://www.amazon.co.uk/dp/B072LL25GF. The print version will be here in about three weeks. In the winter of 1993, top investigative journalist Clare Woodbrook goes missing on the eve of unveiling her biggest story. Her researcher, Danny Churchill, sets out to find her, aided by his flatmate – fashion photographer Anna Burgin. But they are not alone in trying to find Clare. Danny and Anna embark upon on an explosive trail of murder, intrigue and police corruption, and as the stakes rise, so the hunters become the hunted. 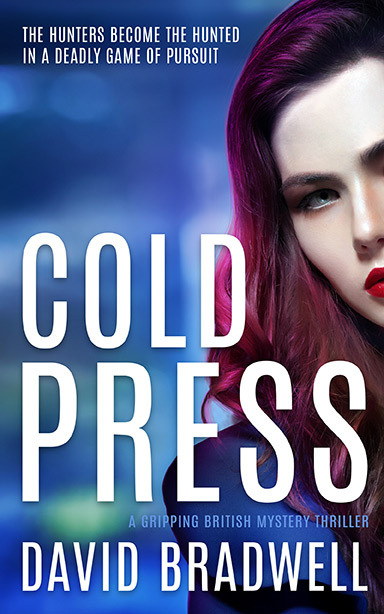 Packed with intrigue, twists, conspiracies, and dark humour, Cold Press is a hugely entertaining mystery set in 1993. 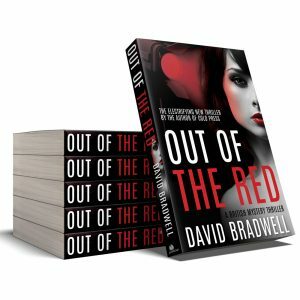 It’s the debut novel by British writer David Bradwell, and the first in the Anna Burgin series of mystery thrillers. Clare Woodbrook is the enigmatic head of the Special Investigations Department at Britain’s leading daily tabloid. Her exposés are legendary, but she’s not without her enemies. Now, on the verge of unveiling her biggest ever scoop, she arranges to meet her researcher Danny Churchill, to reveal all over lunch. But Clare never shows, and later that night her car is found abandoned on the hard shoulder of the M25. Worse still, the police investigation is being headed up by DCI Graham March – the embodiment of police corruption and the subject of one of Clare’s current investigations. Danny sets out to find Clare, and enlists the help of his spiky flatmate – fashion photographer Anna Burgin. But they soon realise that nobody can be trusted – especially the police. As the search becomes ever more desperate, suddenly their own lives are very much on the line. So it’s been a bit busy at work over the last couple of weeks, launching our new American and German web sites together with a new brand and lots of new products from Nylonica. And that – coupled with line learning for my latest screen acting adventures – has restricted writing time for a bit, which is frustrating, but an inevitable part of juggling life and a day job. On the upside, I met with Carrie, the editor, on Sunday and she’s come up with some fantastic suggestions to make Cold Press better, although thankfully the required surgery is largely cosmetic rather than anything too structural. I’m implementing those now, which means the Marach 17th launch date has been pushed back by a couple of weeks, although I’d still hope to have everything finished by the end of March.